Marketing Director ~ Jamie is a 2011 graduate of Tennessee Tech University with a Bachelors of Science in Business with a concentration in Marketing. She joined High Pointe in March 2016. Her role as Marketing Director is to be the face of High Pointe in the community and to be a resource for those who need physical, occupational, and speech therapy. When not at High Pointe, Jamie loves spending time with her family. She and her husband Brad just welcomed a sweet baby girl named Charlotte in May 2017. She joins big brother Lucas in keeping mom & dad on their toes! 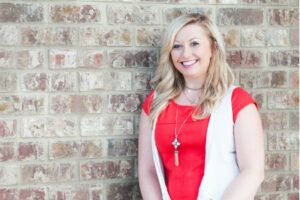 For fun, Jamie loves the outdoors, fashion, and working with the youth group at her church.